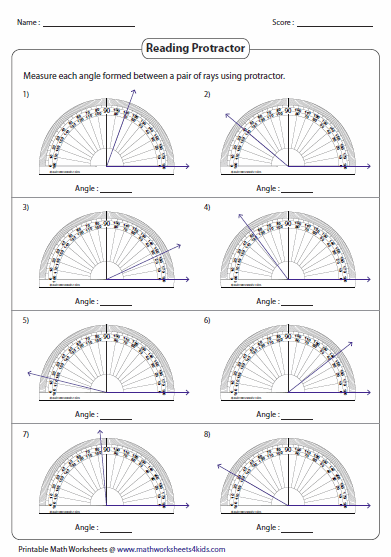 This page contains measuring angles using a protractor, measuring angles formed by multiple rays, measuring angles formed between hands of the clocks, drawing minute hands, measuring angles in geometric shapes, reading protractor, drawing angles with a protractor, estimating angle measures, comparing estimation with exact measure, and simple variable solving problems. 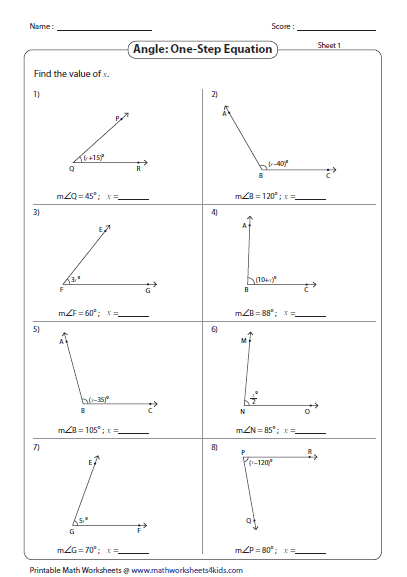 Each worksheet has 8 problems measuring angles with a protractor. Easy level has an increment by 5s, and medium level has an increment by 1s. 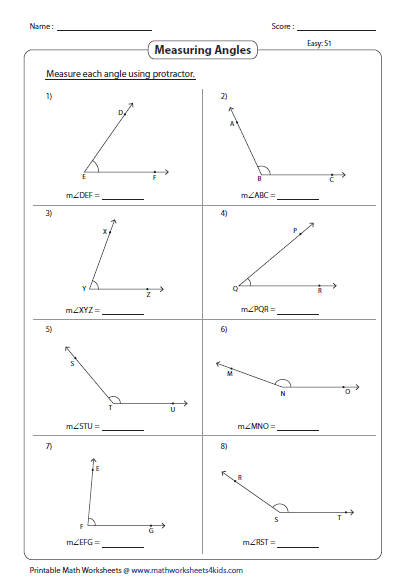 For the hard one, the angles spun any directions with the increment by 1s. You have rays with sides and vertex marked. 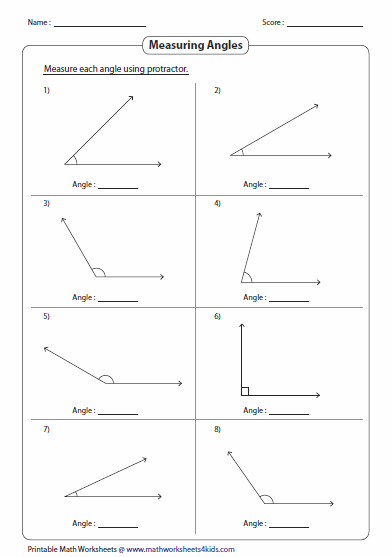 Find the angles using a protractor. See above to know details about difficulty levels. Measure the angles formed by multiple rays over a line having a common vertex. 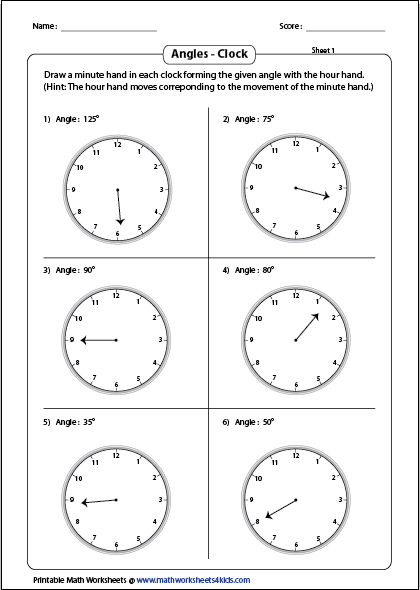 Using a protractor, find the measure of angle formed between hour hand and minute hand in each clock. The angles between the hands are given. 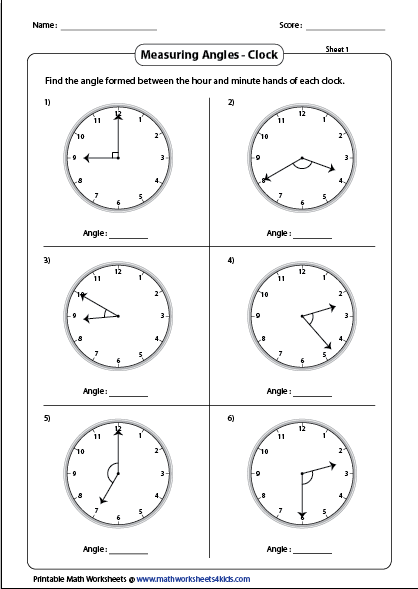 Keep the protractor at the hour hand and draw a minute hand for the given degree. Caution: It seems you have two choices, but there is only one. 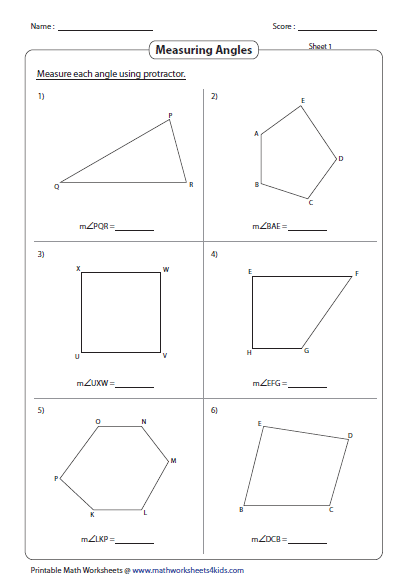 Students should find only one angle in each geometric shape. 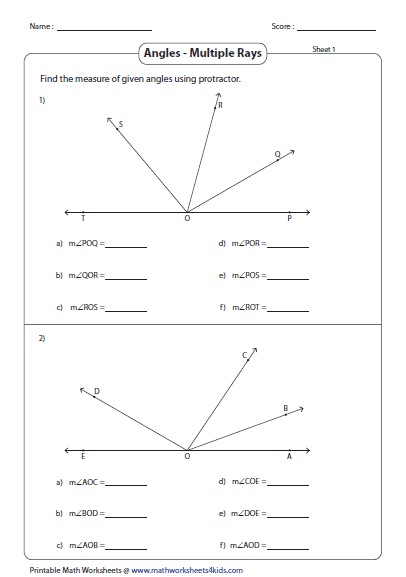 Read the protractor and find the angle formed between a pair of lines in each question. 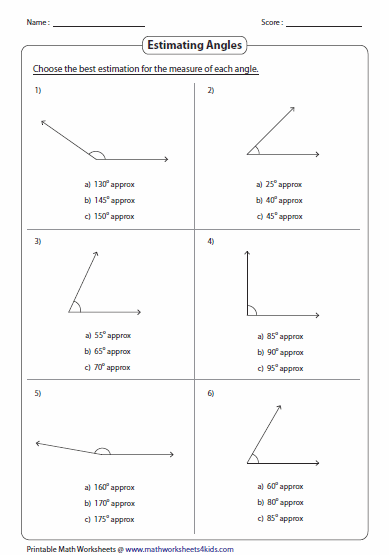 Each worksheet has six problems drawing angles using a protractor. 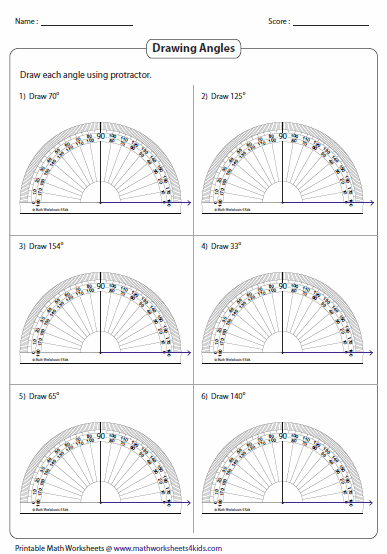 Estimate the measure of each angle. Calculate the exact measurement using a protractor. Compare the results. 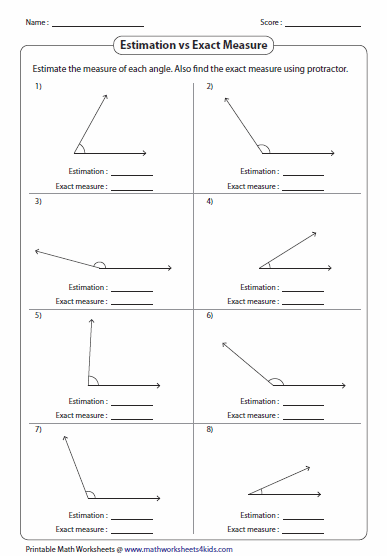 Choose the best estimation for each angle. Medium level includes reflex angle. Each angle is given in algebraic expression. Set this expression equal to the given angle and solve for x.